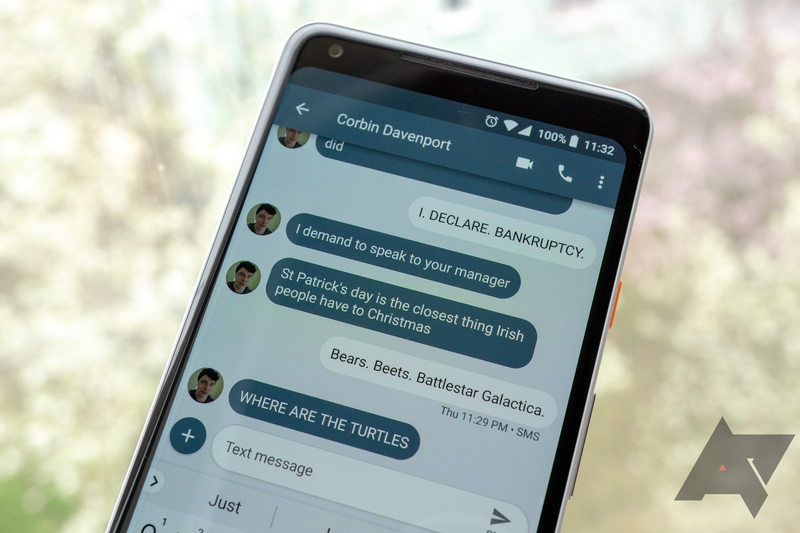 Much of the world has moved on from SMS, but it's still one of the most popular methods of sending messages in the US. It's an unfortunate requirement here for many, and it probably will be until RCS gets off the ground. 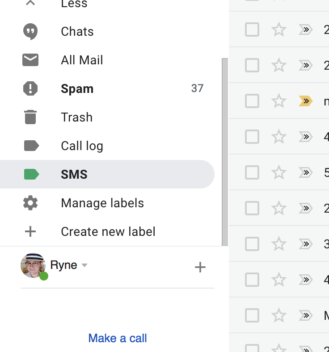 And if you're the data-hoarding type, then you might want to keep those SMS messages around for later reference—either in cold storage or an easily accessed format. 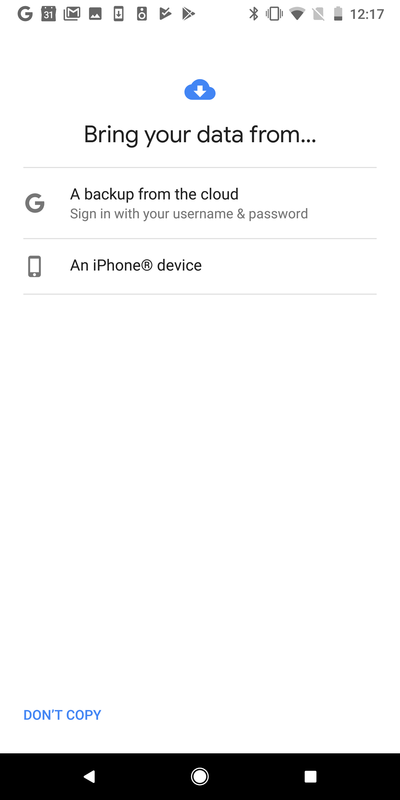 But even bringing them with you from device to device isn't actually that hard, and we're glad to walk you through the different ways to do it. 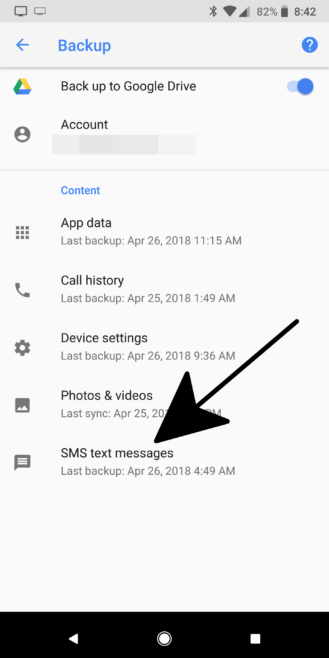 Of course, Google's Pixels (and a handful of other Oreo-powered devices) include built-in SMS backup these days, as well as a tool during the setup process for migrating messages over to a new phone, so let's cover that first. 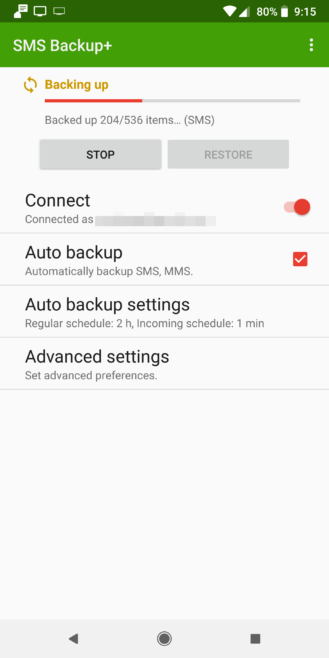 Pixels have automatic SMS backup. 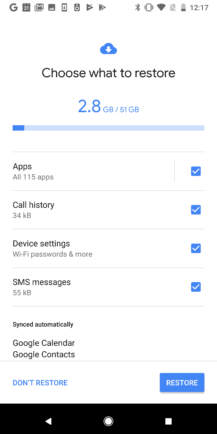 As of Android 8.1, you can now restore backed up data (including SMS messages) after the initial setup. Unfortunately, it's not a manual process like the other items on this list. 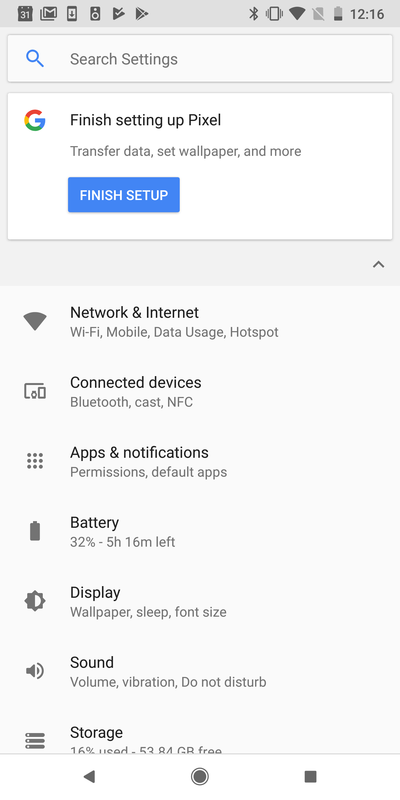 It's only available if the "Finish setting up" screen is shown at the top of your settings panel. Tap that "Finish Setup" button, and it'll perform the same restoration maneuver it typically would on initial setup, which can include restoring previously backed up SMS messages from your devices. 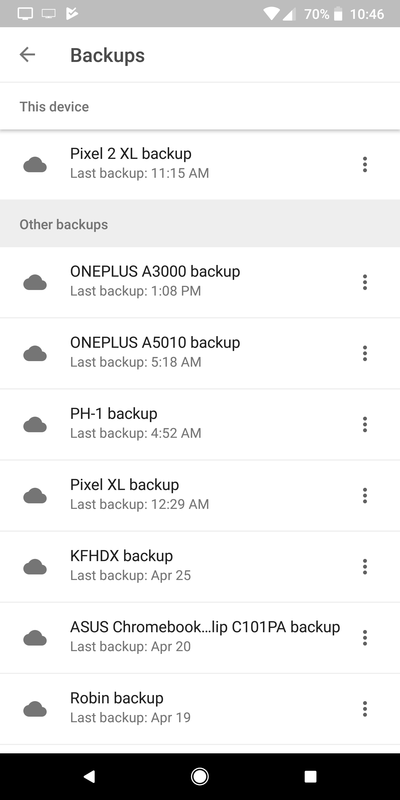 The data comes courtesy of Android's automatic backups, and they're stored on Google Drive. 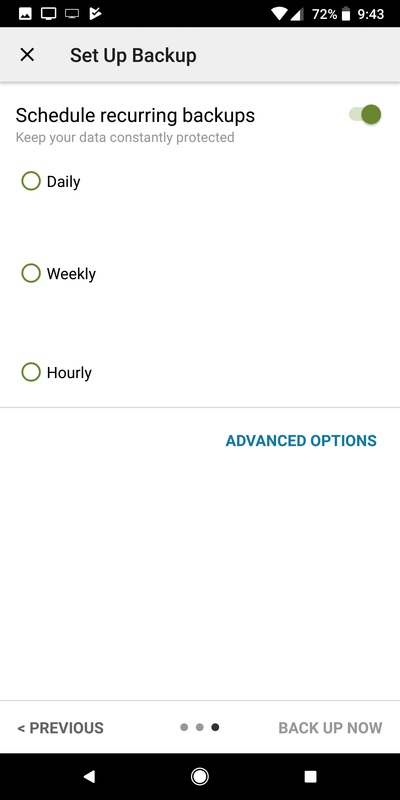 You can view them (but not their contents) via the Android app, and they can't be copied off or moved elsewhere. 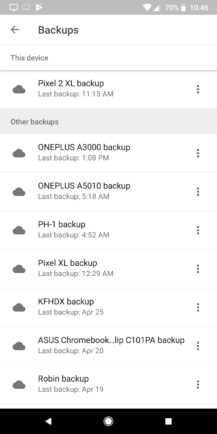 Viewing the list of automatic backups in Google Drive. The built-in system is useful and automatic, but without a way to manually trigger the restoration process or view the backed up contents, it's of limited utility. 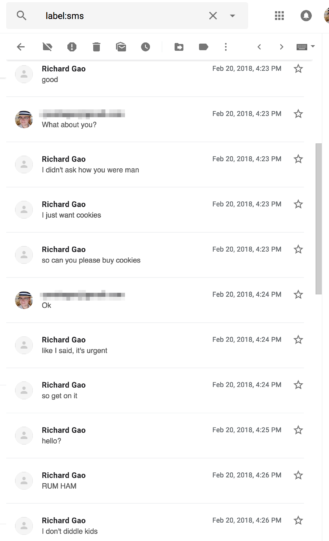 For instance, you can't read those messages off-device, and you can't save them long-term. In such cases, this automatic system might not fit your needs, but there are alternatives. There are a lot of individual apps for backing up and restoring your SMS messages, but for the purposes of this discussion, we'll refer to two well-known and high-quality free apps we've covered in the past: SMS Backup+ and SMS Backup & Restore. They both let you back up and pull down your messages with a bit more control than the stock system, but each is suited to a slightly different use case. If you're mostly interested in keeping your messages around somewhere (without necessarily having local access to them), then SMS Backup+ is probably your best choice. 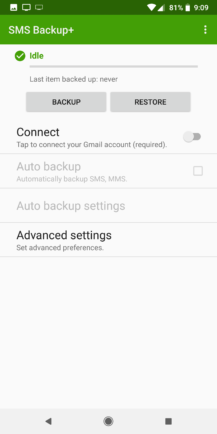 The app is open source and allows you to automatically back up your SMS, MMS, and call history to your Gmail account, presenting your messages there in a convenient "SMS" label, laid out in the same format as email conversations, accessible anywhere via phone, computer, or tablet. The app is free with in-app purchases, and although there was a couple year gap in updates, it still remained functional during that time (if somewhat dated looking). Now that it has a slightly more modern aesthetic, there's no reason not to use it. The setup process is simple. 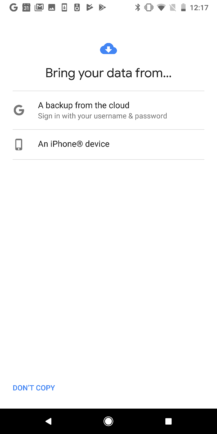 Once you have the app installed, fire it up, and jump past the changelog splash screen to the main app. 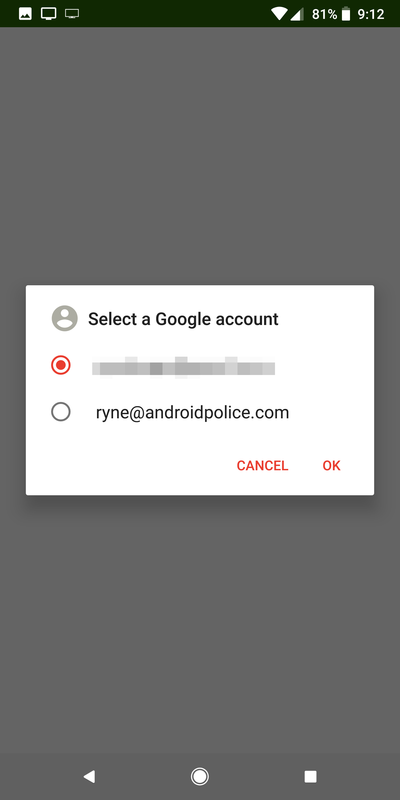 There you toggle the "Connect" switch, grant the app access to your contacts, select the Gmail account you'd like to have your messages synced to, and decide if you'd like all your current messages to be backed up or not as it pulls SMS permissions. That's pretty much all there is to it. 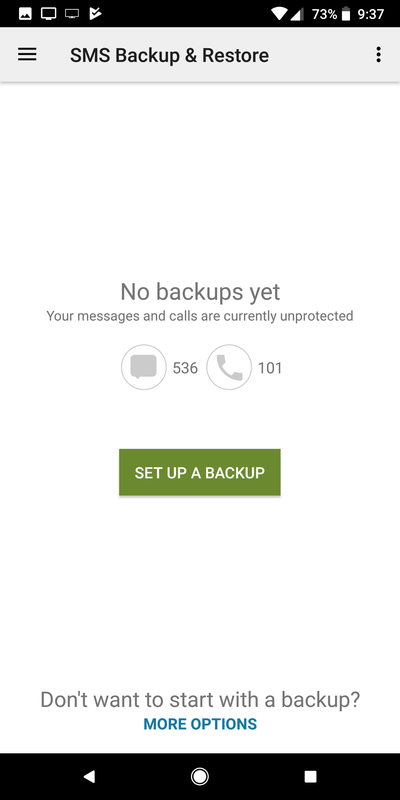 First-time setup process in SMS Backup+. 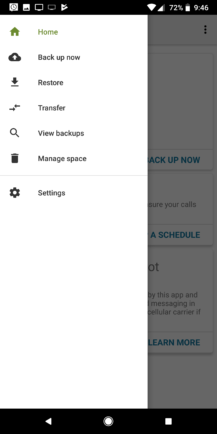 You can set the app to automatically back up messages with a configurable schedule. 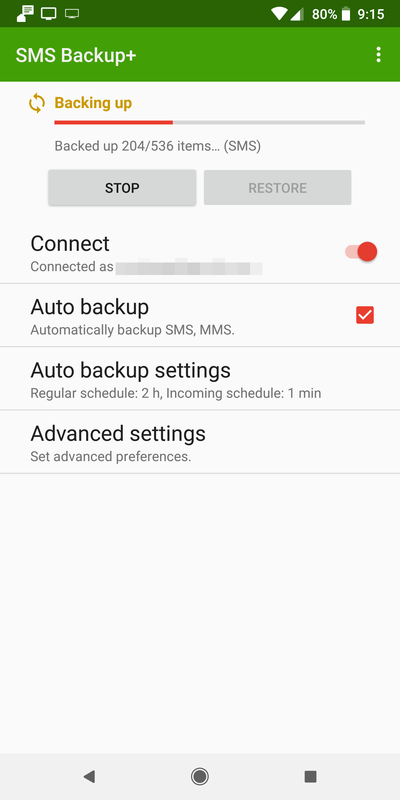 I've always found the default settings—which back up incoming messages every minute and outgoing messages every two hours—to be fine. 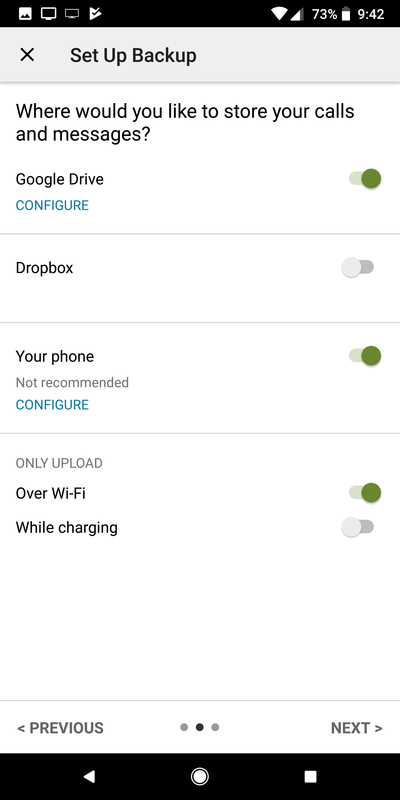 Data used by the app is pretty minimal, but if you are concerned, you can set it to only make backups on Wi-Fi. 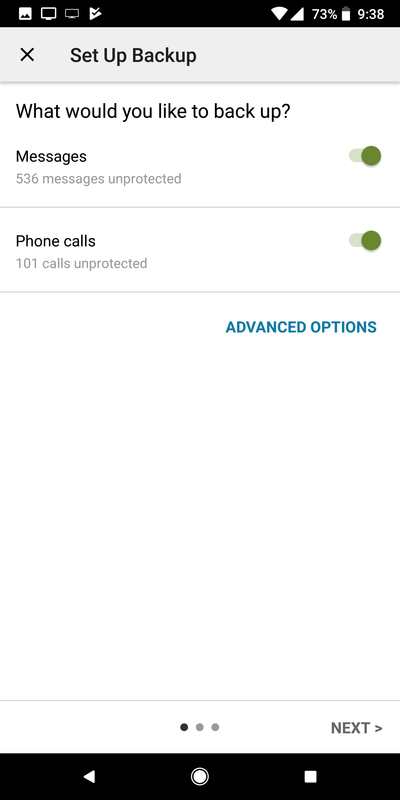 It's also able to broadcast an intent at the time of backup for third-party app integration. 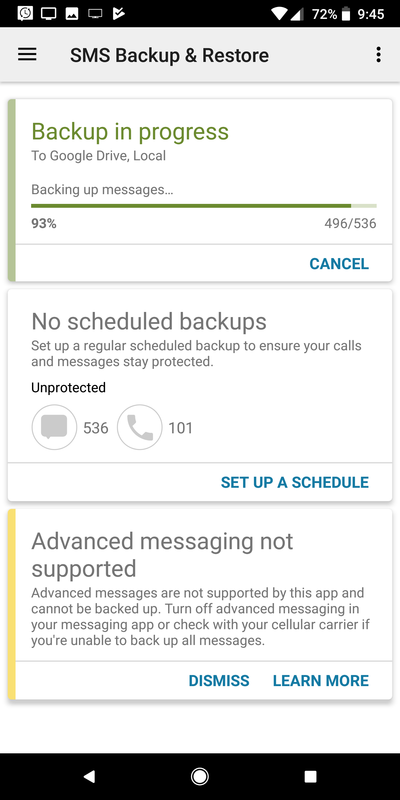 The backup process for SMS Backup+ is pretty slow, but since messages really only need to be backed up once—and since that can be done as they come in without you even noticing—it's not really a problem. 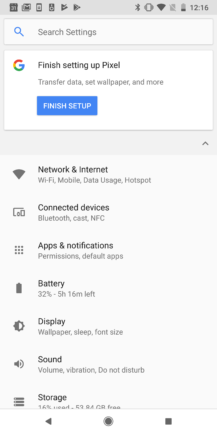 It is much more of a concern, however, if you plan on using the system to migrate between devices, as the restoration process is quite time-consuming. In fact, if that's your intention, there's another app in this guide which might suit you a bit better. 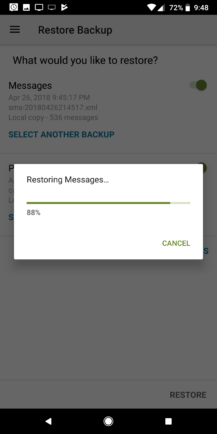 SMS Backup & Restore has changed hands a few times in recent history. It was bought by Carbonite and later sold to SyncTech. 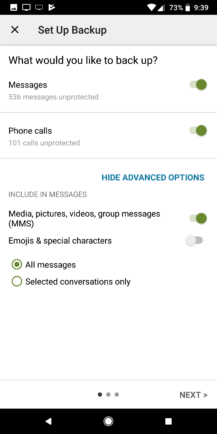 But none of that really matters, it's just a good, free app for exporting SMS and MMS messages in a single file. 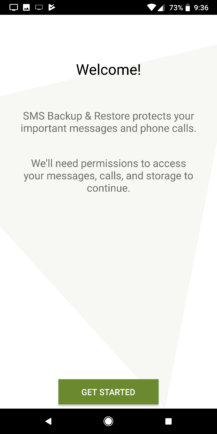 On first launch, SMS Backup & Restore has a nice little walk through that explains which permissions it needs to request and why, at which point it asks for the whole bundle at once before dumping you on the main screen. 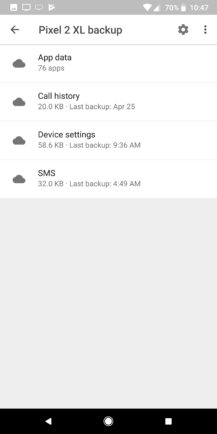 The manual backup process is simple. Just tap "Set Up A Backup" and follow the instructions. 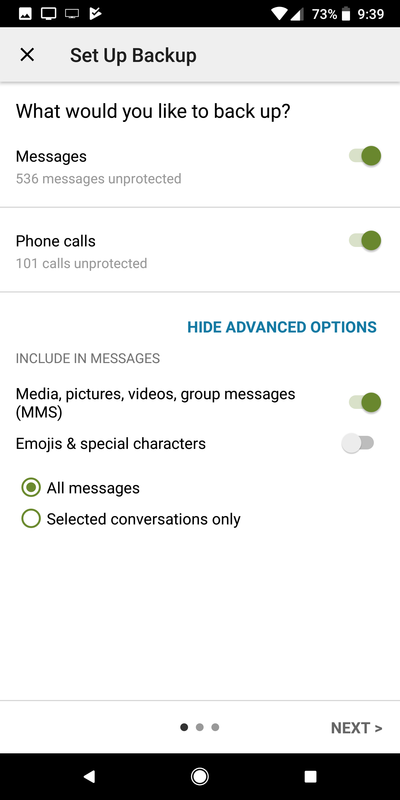 Be sure to go into the advanced menu and select media and emoji options if you'd like those to be included, or select individual conversations if you don't want everything to be saved. 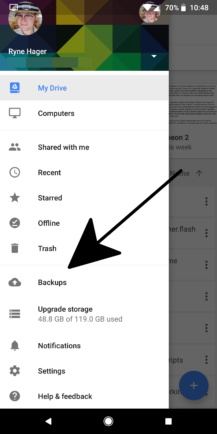 It then asks where you'd like to store the backup, with integration options for Google Drive, Dropbox, and local storage. Select whatever works for you. For example, Google Drive is handy if you're maintaining the backup as a static archive, while local storage might be useful if you're flashing a new ROM, etc. 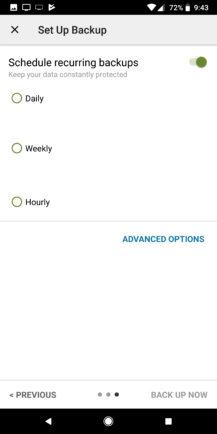 You can also set up scheduled backups, with old files being automatically removed. But without the advantage of deltas/incremental changes, there are some disadvantages. Those backup files can get pretty big if you have enough MMS or a few tens of thousands of SMS messages, and regular backups could burn through data. Honestly, I find the app more suited to one-time backups or migrations than regular schedules, especially compared to SMS Backup+, but the option is there if you need it. Once you've got things set the way you want, tap "Back Up Now," and you're off. One huge advantage: Compared to SMS Backup+, it's significantly faster. Restoration process in SMS Backup & Restore. 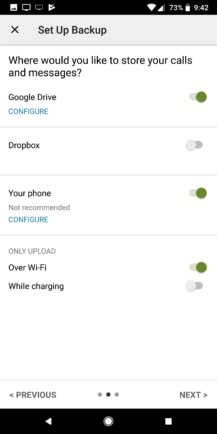 If you'd like to restore those backups on another device, swipe from the left edge in to pull up the navigation menu and select "Restore," or you can use the "Transfer" option which sends files from app to app over Wi-Fi direct. 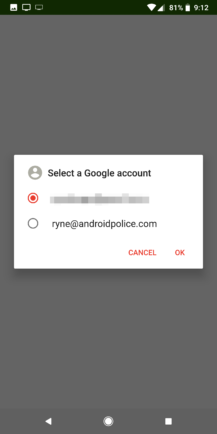 If you're performing a restore with a local file, make sure it has been copied to the device. Whatever method you choose, the process to pull messages back down is easy, and the app is happy to walk you through locating the correct backup on internal or cloud storage. 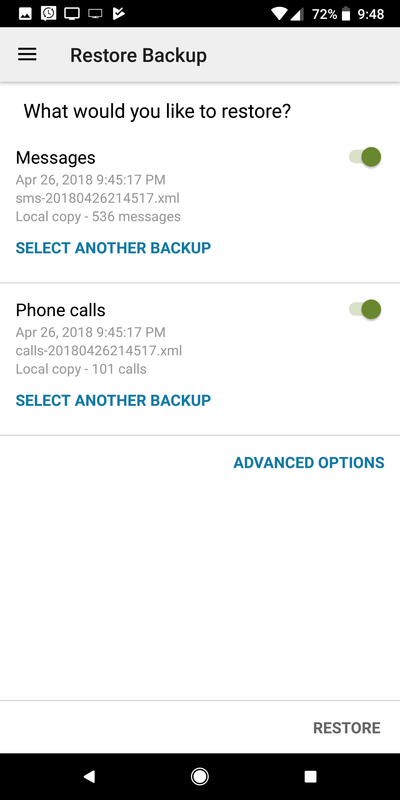 SMS Backup & Restore does have a little more functionality than I've explicitly described here—like the ability to perform and maintain scheduled backups. 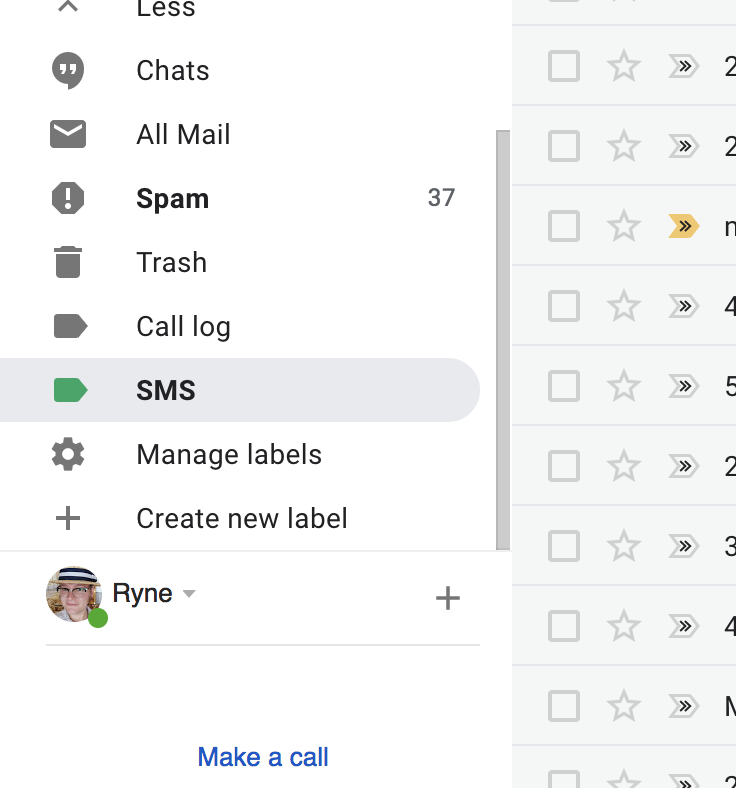 But, personally, I find the advantages of Gmail storage, conversation view, and one-at-a-time backups in SMS Backup+ to be a better solution for that specific use case. 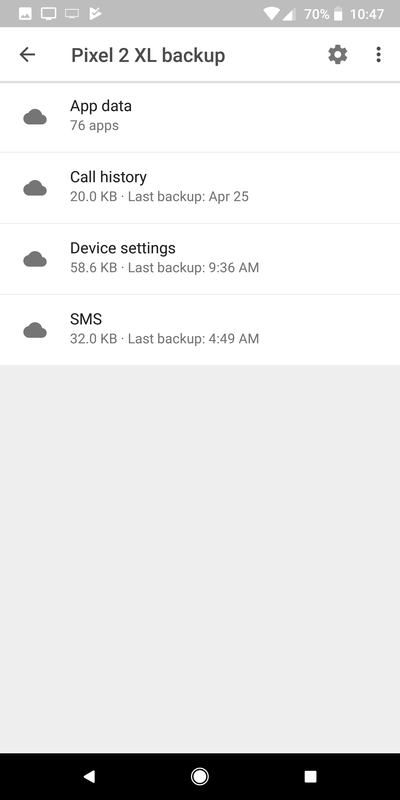 With the larger backup sizes and no easy way to view them online, SMS Backup & Restore is more suited to one-time backups or migrations, in my opinion. For our non-US based readers, I wouldn't be surprised if the subject of SMS backups was viewed with a bit of humor, but it's an unfortunate necessity here. 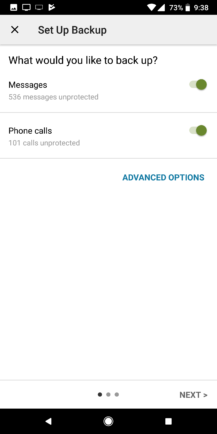 At least, until Google and the other carriers can get behind RCS, or Chat, or whatever it is the kids are calling it these days.